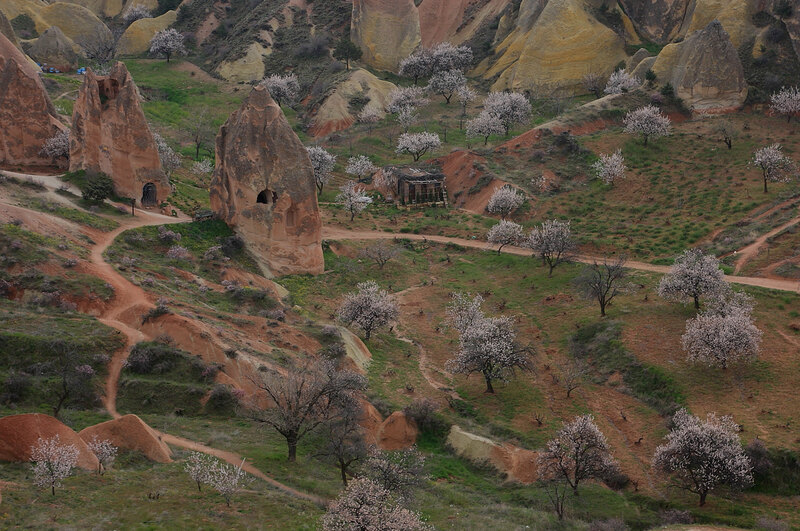 The valley was named after the scores of pigeon houses carved into the rocks. They were utilized to collect pigeon droppings that were then used as fertilizer. This practice has been sustained to the present day, though to a lesser extent. 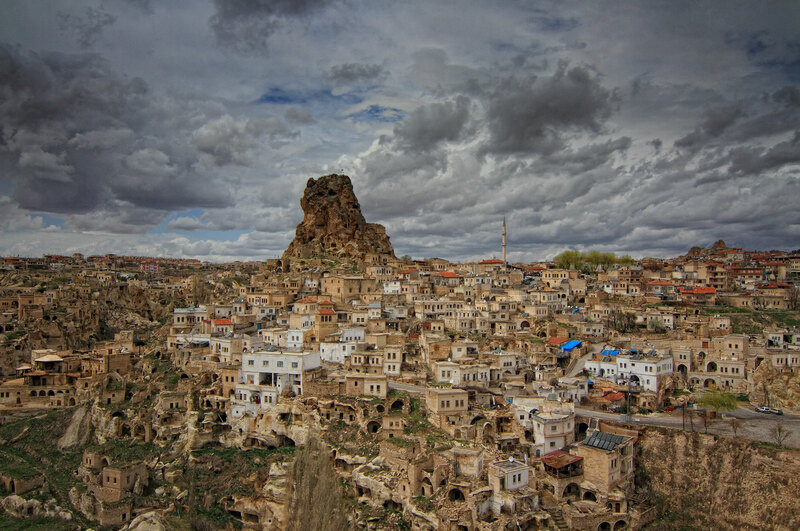 The so-called fortress was created by carving the highest mass of rock in the vicinity and was used as both a significant shelter and a military post during the Byzantine period. The peak of the rock fortress reveals a full panorama of the region and makes fantastic viewing point for sunset. 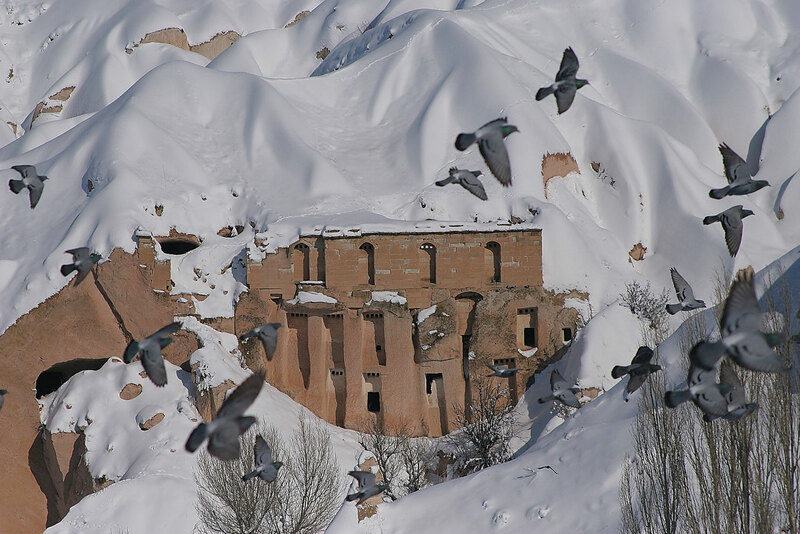 The museum which is placed in the heart of Goreme National Park bares many churches dating from the 5th with frescoes depicting scenes from the life of Jesus Christ: Chapel of St. Basil, Elmalı (Apple) Church, St. Barbara Church, Yılanlı/Aziz Onuphrius (Snake/St. 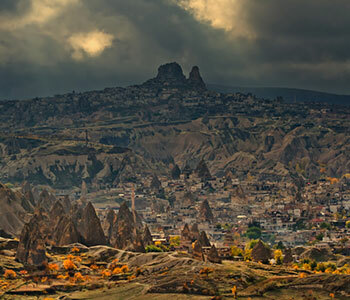 Onuphrius) Church, Karanlık (Dark) Church, Çarıklı (Sandal) Church and Tokalı (Buckle) Church; out of which the Dark and Buckle Churches feature the best preserved religious wall-paintings throughout Cappadocia. 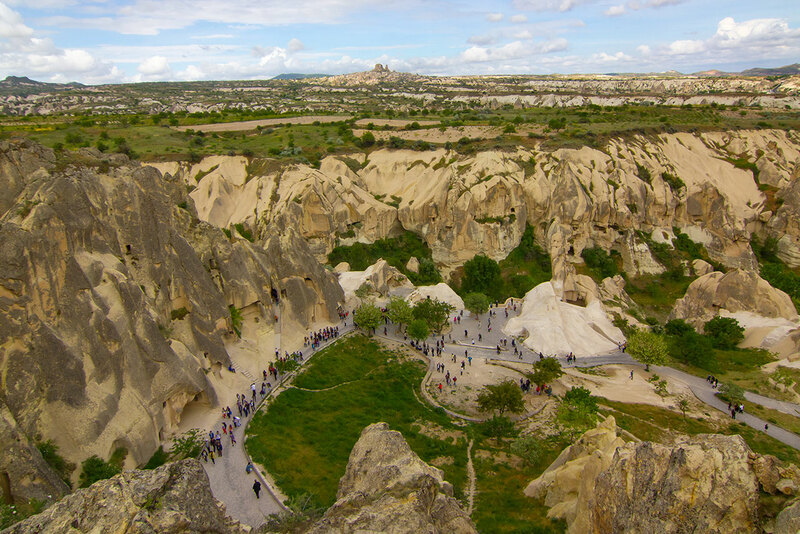 This valley is also known as ‘the valley of imagines’ since the tufa (volcanic ash) has eroded into several different shapes such as a camel, kissing faces, Napoleon’s. This subterranean labyrinth city with four levels and a depth of 40 meters is the second largest underground shelter of the region… One of the most visited underground city since its discovery in 1964. 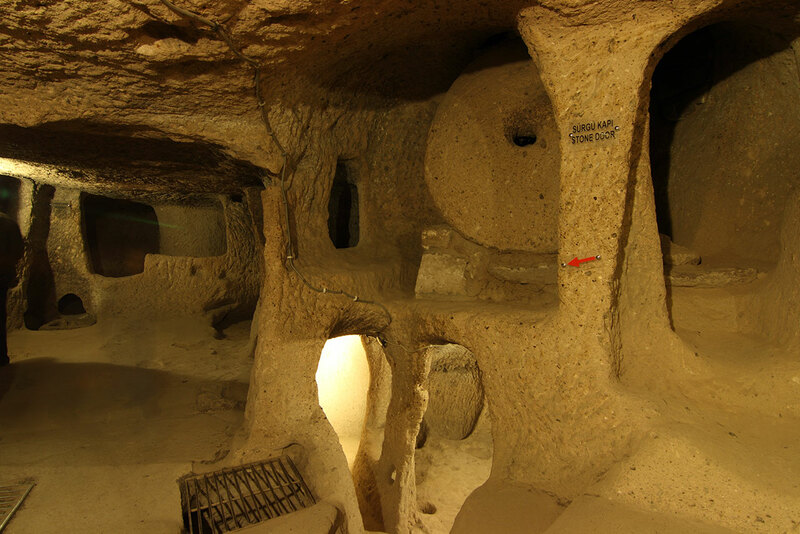 Kaymaklı features air tunnels, scores of living rooms, storage chambers, a kitchen, a chapel and millstones(which are used as doors). 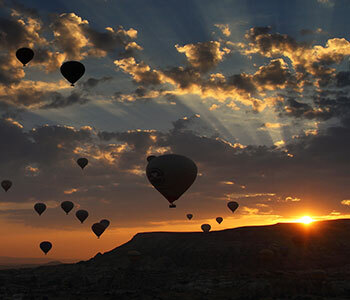 The 14-kilometer-long Ihlara is one of the most impressive canyons in Turkey. 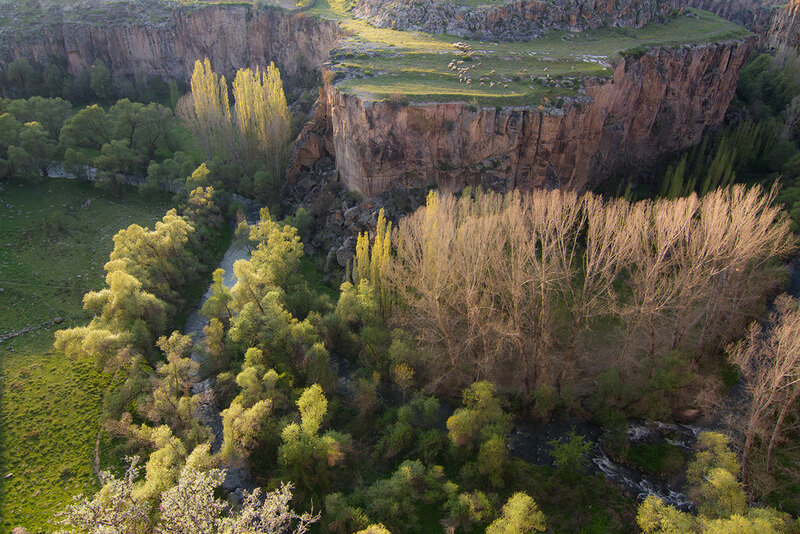 A leisurely stroll to Belisırma (Peristrema) village along Melendiz river, which meanders through and springs life to the valley, is to be enjoyed for sure, and so are the myriad of rock-cut churches and dwellings within the canyon. 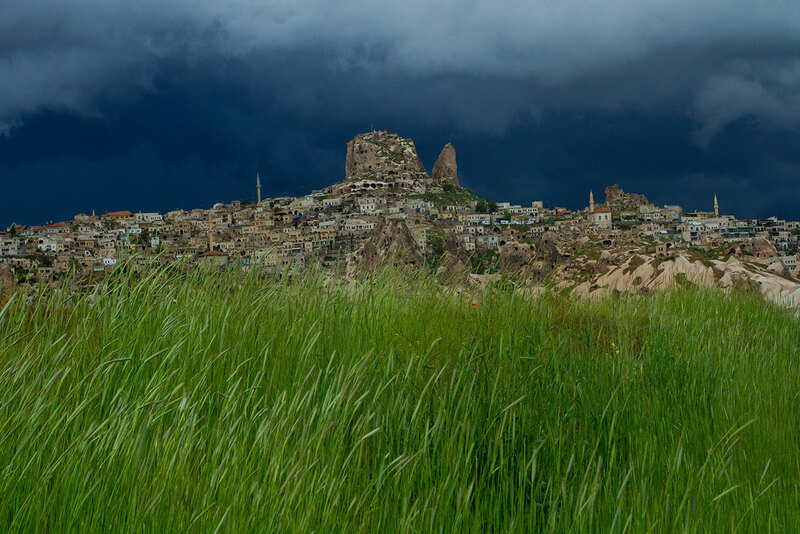 On the way out from the village of Cemil, Keşlik is a Christian monastic complex built on a sanctuary that dates from the Roman period. 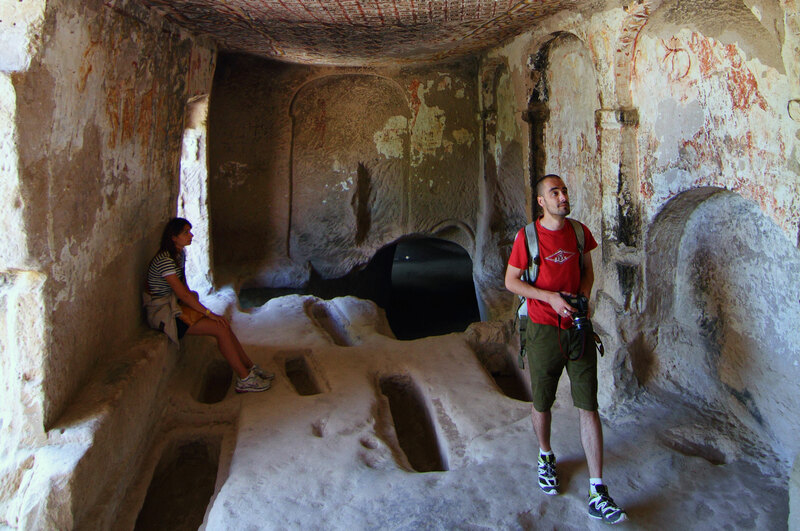 The Archangel and St. Stephen Churches as well as the baptistery, refectorium and the monk cells, are all hewn from rock, constitute the early Orthodox site and make this pleasant place of seclusion not-to-be-missed on the route of south Urgüp. Although the settlement was relocated due to landslides about half a century ago, the ancient village in the valley housing several rock-cut churches and dovecotes are quite interesting to see. 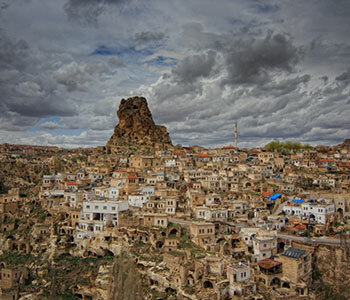 Karabaş (Dark Head), Yılanlı (Serpent), Kubbeli (Domed), Saklı (Hidden) and St. Barbara Churches. 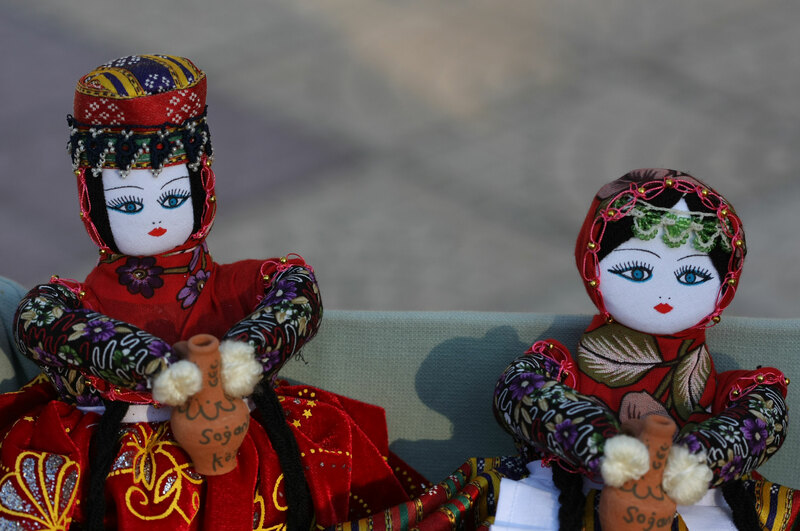 The local women offering the handmade dolls of Soğanlı, as well as woolen socks and gloves at the village square, add a pleasing touch to the ambiance. For any questions you might have and for reservation please e-mail us.